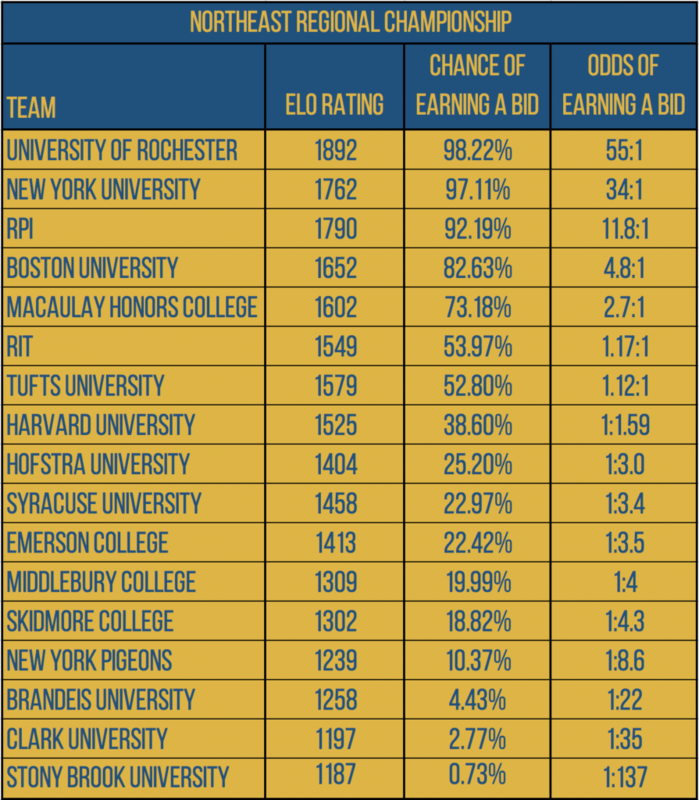 This year, The Eighth Man will be using our Elo standings and respective regional championship formats to calculate estimates for a team’s likelihood of getting a bid at a regional championship. These will be rough estimates; Elo standings can be volatile this early in the season, and the tournament formats require some estimation for determining a team’s path toward getting a bid These estimates, however, are about as accurate as we can get using all the information at hand. 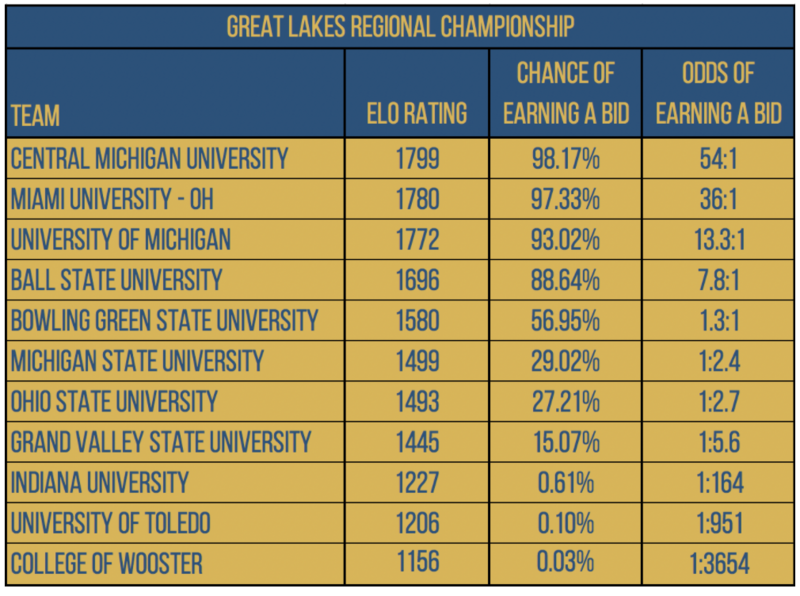 This week, we’ve provided estimates for a team’s percentage chance and odds of getting a bid at the Great Lakes Regional Championship (11-team round robin to determine five bids) and the Northeast Regional Championship (17 teams in four pools that seed into quaternary brackets to determine eight bids). Check out the tables for each team’s odds of making it below. We will also be running an interactive prediction contest that will use the odds we’ve generated. Fill out the poll to make your predictions of which teams will make it, and correct answers will earn you more or less points based on how likely your prediction was of happening. For example: If you predict that Central Michigan University will earn a bid this weekend and they do, you will earn 0.02 points; if you predict they won’t earn a bid and they don’t, you will earn 53.6 points because the likelihood of that happening is much less likely based on our model.